The Timmys - Hello, Dudes & Girls! If you're reading this (and I have my doubts) then your eyeballs are undoubtedly eyeballs deep in our newfangled website-a-ma-jig! We applaud your tenacity. Okay, settle down. We'll be releasing our new 4 song EP, Dude, Girl, digitally on Tuesday, September 2nd! You can stream a song from it right over here at Dying Scene. 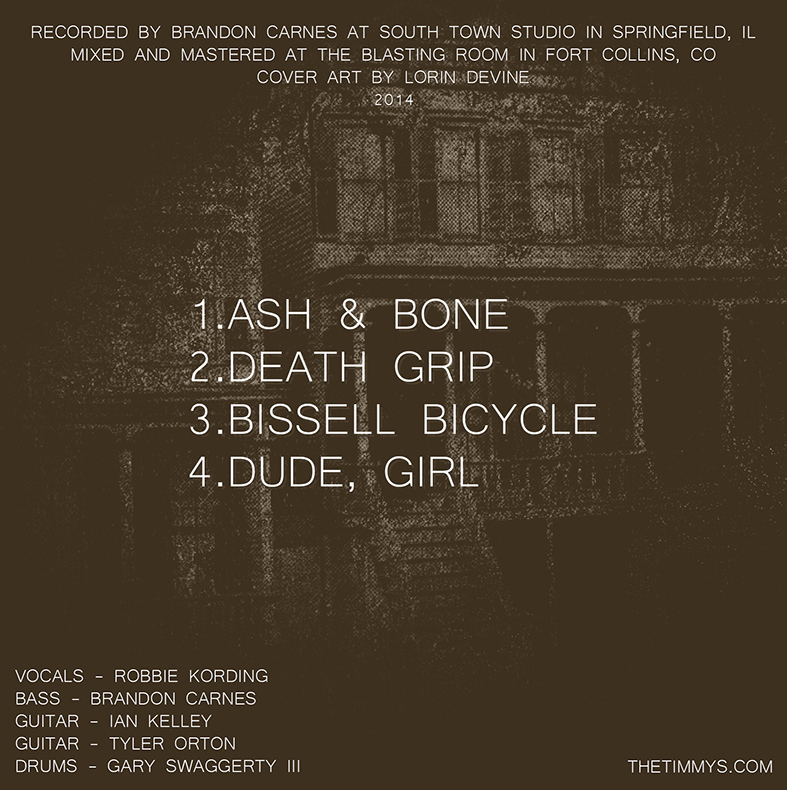 It was recorded by our bassist, Brandon Carnes, at the lovely South Town Studio right here in sweet ol' Springfield, Illinois and then mixed and mastered by the The Blasting Room. Local songstress Lorin Devine painted the cover art. The plan is to get it out in 7-inch form as soon as we possibly can. As for the new website, feel free to poke around what little we currently have on display. Maybe sign up for the mailing list while you're at it. We'll have the online store up and running pretty soon. Dude, Girl streaming on PunkNews.org!